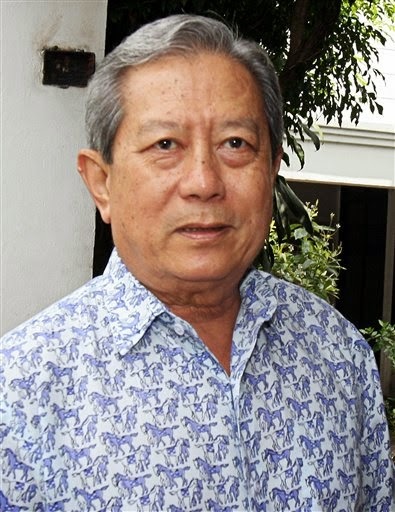 June 12, 2014 (Tony Cartalucci - NEO) - Upon reading the London Guardian's article "US may blacklist Thailand after prawn trade slavery revelations," one may actually believe a revelation regarding slavery in Thailand has been made and blacklisting Thailand is a warranted course of action. However, they would be wrong. What the Guardian piece is in actuality, is a plagiarized, politically motivated, carefully timed attack not on the perpetrators of Thailand's human trafficking, but on the new military-led government that has already taken concrete steps to stop it - and the immense profits it has brought Western multinational big-retailers. In other words, the Guardian piece is propaganda obstructing, not assisting the ending of human trafficking. The Guardian claims it had investigated human trafficking in Thailand's fishing industry for 6 months, resulting in their acclaimed "revelations." 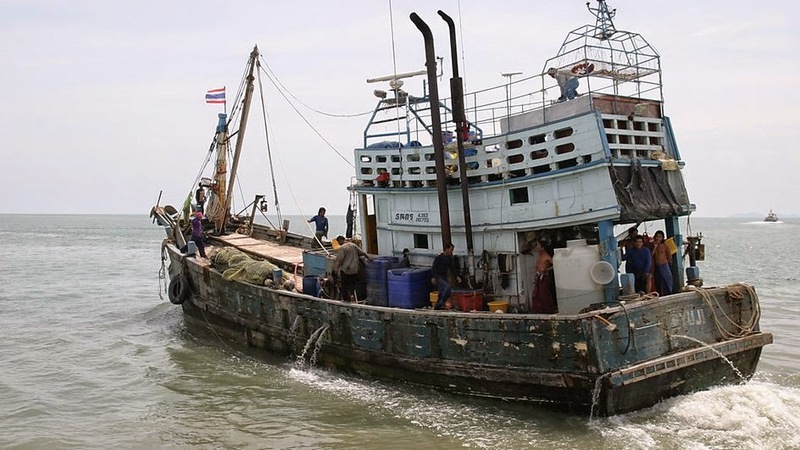 However the Environmental Justice Foundation (EJF) has been investigating and reporting on human trafficking, and in particular within Thailand's fishing industry, for years. A March 2014 report titled, "SLAVERY AT SEA: The Continued Plight of Trafficked Migrants in Thailand's Fishing Industry," covers every aspect Guardian's report did, as did a previous report published by EJF in 2013 - "Sold to the Sea: Human Trafficking in Thailand's Fishing Industry." EJF even has two videos accompanying each report, here and here respectively. Aside from political spin and threats of sanctions, the Guardian report offers nothing new, and even interviews EJF's executive director Steve Trent. Both the Guardian's report and EJF's two reports were drafted with support from Humanity United, an opaque foundation led by an incestuous mix of big-business and US State Department representatives and part of the Omidyar Group, a for-profit and non-profit "philanthropic investment firm." 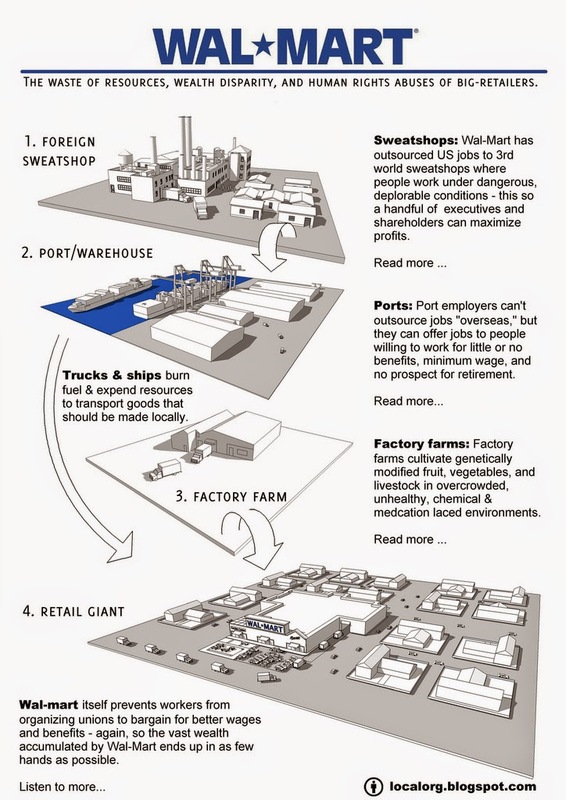 A six-month Guardian multimedia investigation has, for the first time, tracked how some of the world's big-supermakets, Tesco, Aldi, Walmart and Morrisons, are using suppliers relying on slave labour to put cheap prawns on their shelves. Slavery is back and here's the proof. Narrated by Benedict Cumberbatch. Washington will directly address allegations of human trafficking in Thailand in an imminent report that could result in economic sanctions against Bangkok. The state department has confirmed it intends to review the country's response to abuses such as migrants being bought by shipowners and forced to work as slaves for years at sea without pay. Clearly, none of what the Guardian reported was a "revelation" and the United States' decision to wait until now when it had within its possession the same information it is basing its current decision on, a year ago, is evidence of a politically motivated leveraging of human tragedy to exact upon the new military-led government and its allies within Thailand's business community a penalty for ousting Thaksin Shinawatra from power. What is worse, targeting the current government may undermine efforts now finally underway to actually combat human trafficking that was taking place under Thaksin Shianwatra's rule and with the full support of his notoriously corrupt police force. Most ironic is that the United States is only considering sanctions now after it struggled to support Thaksin Shinwatra's regime while human trafficking was taking place, and now attempts to disrupt and undermine the only force in Thai politics capable and willing to combat human trafficking. Legislation to combat human trafficking is in fact, already in place. The "Anti-Trafficking in Persons Act B.E 2551 (2008) (.pdf)" was passed into law on January 30, 2008. It was drafted under, and signed by, the military-appointed government of Prime Minister Surayud Chulanont after the first coup aimed at toppling the regime of Thaksin Shinawatra was executed in 2006. However, despite the new legislation, Shinawatra's control over the nation's police prevented any enforcement. Thailand's military is conducting a systematic reshuffle to blunt the power of officials seen as loyal to former premier Thaksin Shinawatra in what seems to be an effort to dismantle his support base and ensure he can never return to power. Governors in 13 provinces have been transferred, mostly from the country's pro-Thaksin north and northeast, according to the junta's National Council for Peace and Order (NCPO). While the Western media, Western politicians, and a myriad of faux-academics and NGOs parroting Western talking points decried the new government's moves, dismantling Shinawatra's support base, including the restructuring of his immensely politicized and corrupt police force, is an essential first step in combating not only human trafficking but a wide variety of corruption, abuses, and ongoing crimes against humanity that had unfolded, unchecked, and in the face of laws that have long gone unenforced under Shinawatra's rule. With the new government demonstrably solving a myriad of problems and abuses left behind by the regime of Thaksin Shianwatra, the timing and plagiarized nature of the Guardian's "revelations" is at best suspicious propaganda, and at worst an attempt to undermine the current government as part of an effort to ultimately return Shinawatra back to power and allow the abuses now fully documented and exposed to the world to continue unabated. Since the absolute entirety of the Guardian's report is plagiarized from EJF's previous 2 years of work, the beginning of their "investigation" 6 months ago, in the month of December 2013, takes on a curious dimension. It was in December 2013 that it became clear the regime of Thaksin Shinawatra was mortally wounded and that the momentum nationwide had shifted against both him and the torrent of Western propaganda flowing across airwaves, upon newspapers, and over the Internet in his support. The prospect of a military coup was all but a certainty, leaving it as not a question of if, but of when. It is documented that both the US State Department and Humanity United which supported the creation of both EJF's reports as well as the most recent Gaurdian propaganda, knew for years of the ongoing abuses and human trafficking taking place within Thailand's fishing industry under the regime of Thaksin Shinawatra. With the Guardian beginning to load its hit piece in December of 2013 when the fall of Shinawatra's regime was imminent, and its propaganda broadside today, followed by the threat of US sanctions in light of these "revelations" Washington had already known about for years, constitutes a transparently horrifying exploitation of human suffering for political leverage. When foreign multinationals were profiting from years of ongoing slave labor under the Shinawatra regime, Western NGOs, governments and media outlets quietly documented it. Now that a new government has taken charge and has actively taken steps to stop slave labor, a coordinated attack is being carried out in an attempt to undermine the credibility and even stability of Thailand. The crimes the West was benefiting from are now being used as a weapon against those who are trying to stop them, in what is clearly another indictment of the bankruptcy and depravity of "globalization." Image: Big-retail is the embodiment of "globalization" and drives the many human rights abuses feeding its expansive global supply chains. It provides incentives for paying labor the least while increasing the profit margins the most, cheating everyone in between and rotting society at home and abroad in the process. Localizing manufacturing by leveraging technology can undermine and eventually replace this toxic paradigm. It is also a wake up call for both business interests and power brokers in Thailand, and sovereign nations around the world. Interdependency is a threat to national economic stability and national security itself. Reducing dependency on foreign markets is essential in preventing the coordinated attack Thailand is now under. Thailand, diversifying its export markets among nations that do not demand preconditions to trade, nor demand exporters to be integrated into compromising "free trade" agreements, would also be useful. For individuals around the world, shocked by the slave labor that feeds not only Walmart and Tesco's seafood aisles - but their clothing departments, electronic shelves, and toy sections as well - boycotting big-retail and permanently replacing it with local alternatives is an incremental and practical way to fight back. Leaving it to disingenuous government organizations and right advocates that allow slave labor to continue and only raise the issue when politically profitable, will only allow existing abuses to continue today and open to the door to new, additional abuses tomorrow.